Cryptocurrency–Ross Ulbricht, the high-profile founder of Silk Road who is currently serving a life sentence in prison without possibility of parole, might be catching his first break in years. While the U.S. Supreme Court denied Ulbricht’s petition to appeal his life sentence in a ruling last month, a U.S. Attorney for the District of Maryland has has filed a motion to dismiss the ‘murder-for-hire’ charge that has been pending against Ulbricht. In addition to be convicted over money laundering, hacking and conspiracy to traffic narcotics, Ulbricht has been facing charges related to murder-for-hire. As outlined in Nathaniel Popper’s early history of Bitcoin and cryptocurrency Digital Gold, of which its impossible to deny Ulbricht played a substantial role in the growth of the industry, the self-styled ‘Dread Pirate Roberts’ was caught up in a ploy by FBI agents in which he instigated a contract for murder. While the original charges held six contracted murder-for-hires, all but one was dropped–a charge that is still being levied against Ulbricht in a pending trial in Maryland in addition to his earlier convictions. While Ulbricht finding clemency from his sentencing is still a long-shot without substantial intervention into the legal system, having his charge for procuring murder would go a long way in alleviating his ongoing legal nightmare, in addition to exonerating his name against something as obscene as potential murder. To be clear, prosecutors believe that none of the six original counts of contracted murder-for-hires were carried out, thereby exonerating Ulbricht as a non-violent criminal. Instead, his charges are largely related to the operation of a website that was used to traffic illegal drugs–a charge that is looking more insubstantial with changing values of society. Robert Hur, the attorney filing the motion in Maryland, might provide some leverage to Ulbricht’s plea for having his sentence reviewed if successful. Ulbricht has contended all along that the pending charges against him of procuring murder-for-hire influenced the judge in his original court ruling to enact a much harsher penalty, which has led the 34-year-old to face a life sentence of imprisonment without parole. Much of the cryptocurrency community, including long-time industry figure Erik Vorhees, have been vouching their support for Ulbricht, and condemning his unfair treatment by the legal system as an unnecessary crackdown on the anonymity offered through cryptocurrency. 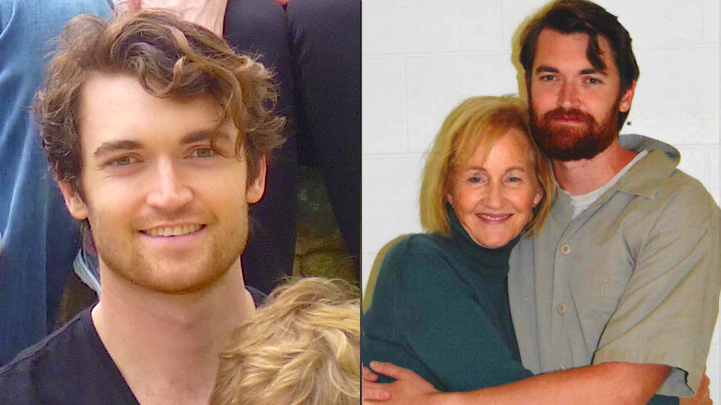 There has been an effort, spearheaded by the aforementioned individuals, to have U.S. President Donald Trump provide clemency for Ulbricht and his life without parole sentencing. A petition for the President to consider Ulbricht’s situation and offer clemency has managed to gain over 34,000 signatures on Change.org, as of writing, demonstrating an up-welling of support for the former Silk Road founder. While it’s hard to contend with some of the charges against Ulbricht, his biggest crime was largely creating a website that functioned well enough, in terms of anonymity and secure exchange, to become a popular route for illegal bartering of goods and services. For the libertarian ethos that makes up a tenet of cryptocurrency’s core beliefs, in addition to a society moving towards the decriminalization of previously illegal substances, it’s hard to stomach Ulbricht suffering life without parole on those grounds alone.